...czyli "odkręcić żenadę z Białorusi". Co tu dużo mówić, kiedy szkoda gadać. Nie zróbmy wiochy, wygrajmy to, wróćmy do formy. I zacznijmy grać Ozilem, zanim go wypieprzymy. Wraca Ramsey, wypada Laca (na własne zyczenie), być może wróci Sokratis, nie trenował ostatni Ajslej Majslej, bo był chorutki. 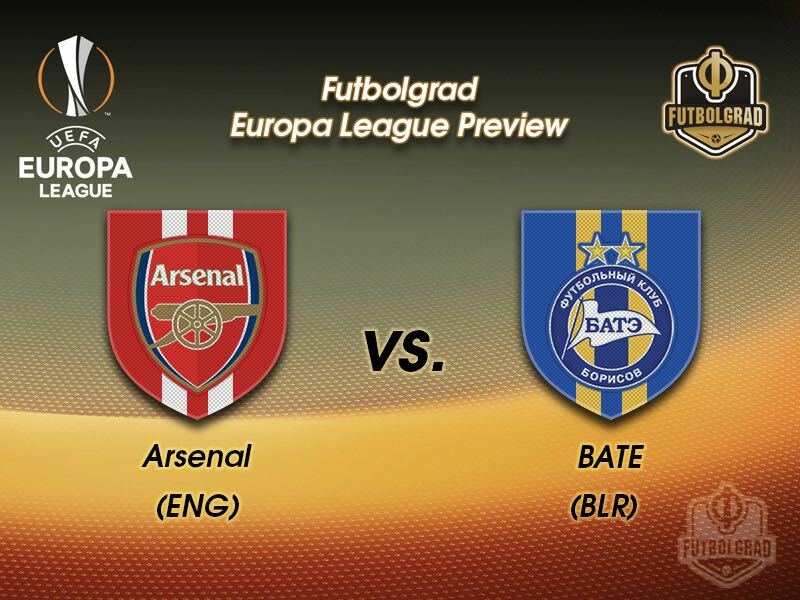 Arsenal will host Bate Borisov in European competition for a second time, having beaten them 6-0 in last season's group stage at the Emirates. Including qualifiers, Belarusian sides have lost three of their four previous visits to English clubs in the Europa League; the other was won by Bate Borisov away at Everton in December 2009. Arsenal haven't failed to score in both legs of a two-legged tie in European competition since the European Supercup final in February 1995, when they followed up a goalless draw at home to Milan with a 0-2 defeat away from home. Bate Borisov have won each of their last three Europa League games; they had only won two of their previous 16 in the competition beforehand (D5 L9, excluding qualifiers). Igor Stasevich, who assisted Bate's winning goal in the first leg against Arsenal, has at least three more assists (seven) than any other player in the 2018-19 Europa League. Zagrajcie tak, coby nie bolało. Fajnie byłoby ich ebnąć znowu jakieś 6-0, żeby choć trochę podnieść morale, ale pewnie będą męki i gol popularnych Borysów z dupy w końcówce na 2-1. Ja mysle ze powioza dzis jakies 4-0. No bez jaj. Łatwe 3:0, ale wstyd po pierwszym meczu jeszcze trochę będzie się za Arsenalem ciągnął.